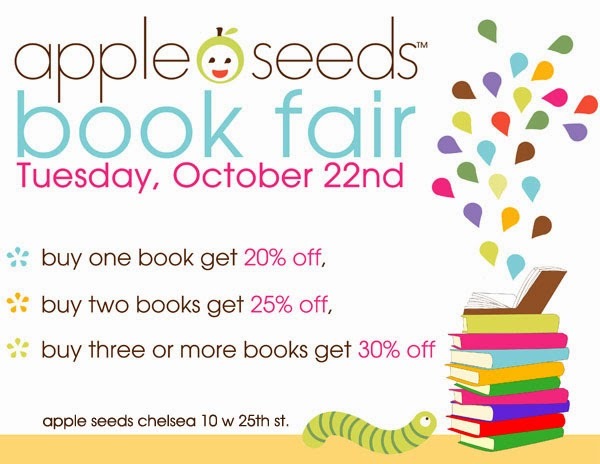 a note from apple seeds: book fair at apple seeds Chelsea: TODAY ONLY! book fair at apple seeds Chelsea: TODAY ONLY! TODAY ONLY: SAVE up to 30% on books, puzzles and art supplies at apple seeds Chelsea!